To say you must be religious in order to have morals is to say you are immoral without religion. This is often said, so it's not surprising the atrocities carried out by people in the name of religious belief for lack of completeness of their knowledge of their religion or lack of moral coverage the religion has. 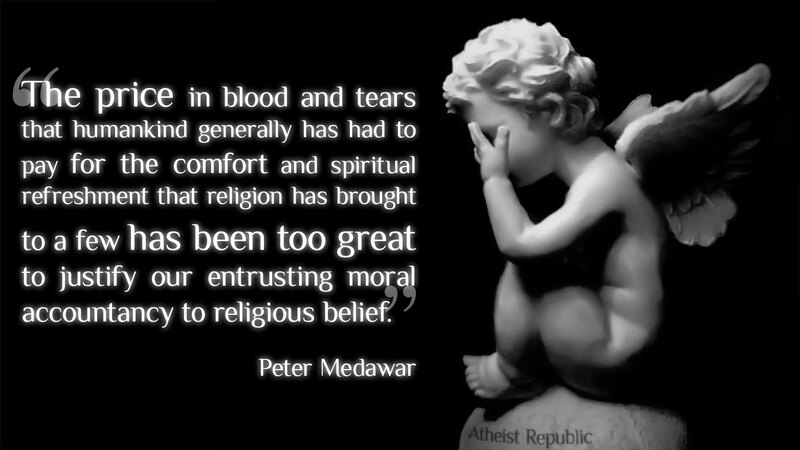 Agreed, Mr Medewar. Literally thousands have died to protect the beliefs of just a few true believers. What's done is done, but let's never do that again! This is happening every day all around the world. Our soldiers are fighting, and dying, for everyone to have the freedom to believe whatever they want to believe. You are right but the foes of our soldiers are fighting for their beliefs. If there was no religion countries would find something else to fight over!